Ian Humberstone, David Chatton Barker, et al. 12” LP featuring acousmatic sound compositions, site-specific field-recordings and original audio of local storytellers spinning out black dog yarns. DVD containing a 10-minute film by David Chatton Barker, hand-treated using haunted materials and distressed in rust, accompanied by a special mix of the project’s audio. Full-colour, 80-page book by Ian Humberstone, containing original articles focussed on each tale covered by the project, as well as photography taken on-site during fieldwork. Risograph posters of Dob Park Lodge and Troller’s Gill—two locations featured in the project. All contents captured in an embossed, hand-numbered and hand-stamped box. Edition of 500 with the first 100 copies containing an additional cassette version of the project audio. Available to order on the products page. What is a black dog? Well, that is a question more easily asked than answered. Listen close and I will tell you all that I know. A black dog is a nocturnal terror, a prowling and ill-omened animation of the witching-hour. Whether plying its trade as a ghost or goblin, a demon or devil, its principle description remains—it is a horrid thing of prodigious size, black and shaggy-haired, in the rough shape of a dog (though greater in stature than any natural breed), with glowing eyes as large as tea saucers that glitter and gleam in the murk. Its recurrent associations are with death, misfortune and the darker shades to human endeavour. These are dread-makers that lurk in the forgotten, twilit corners of this world: the lanes, crossroads and graveyards of isolated villages; the tumuli, ruins and ravines of the open moors; the site at which a gibbet stood or murder was committed in more populous places. They are wont to wander. Those associated with a particular road or lane are often said to patrol a certain stretch or ‘beat’ along it, while those that once haunted a specific site have frequently expanded their activities to a surrounding locale, as their story waxes in its retelling. These are unholy-hounds that stalk their sorrowful haunts at dusk or midnight—those liminal hours when the darkling night might shelter their fetid furs. A black dog may appear or disappear instantaneously, mutate at will, shrink or swell in size, emit a sulphurous stench, even trail a great clanking chain behind it as it goes. It may howl and yowl, or roar and rumble, shrieking and screeching through the squally night. Or it may be silent, save for the unpropitious padding of its giant paws upon the ground behind. How long, exactly, these deliria have tottered along in mankind’s wake is uncertain. In their most basic construction—black, ill-defined, malevolent creatures of the beyond—they are likely as ancient as human fear itself. Yet each generation has added to the image, creating a shifting, legendary mongrel-breed, charged with myth and story. 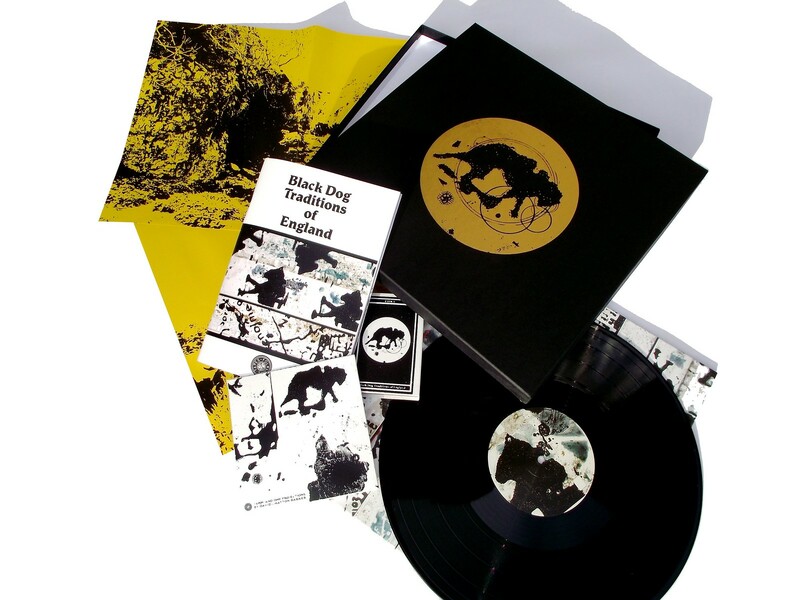 Black Dog Traditions of England tells the tales of eight spectre-hounds in an expansive, multi-disciplinary box-set. It is the product of extensive fieldwork conducted by Ian and David throughout 2015, as well as Ian’s own researches into black dog folklore dating back to 2007. The LP features acousmatic sound compositions, site-specific field-recordings and original audio of local storytellers spinning out their black dog yarns. 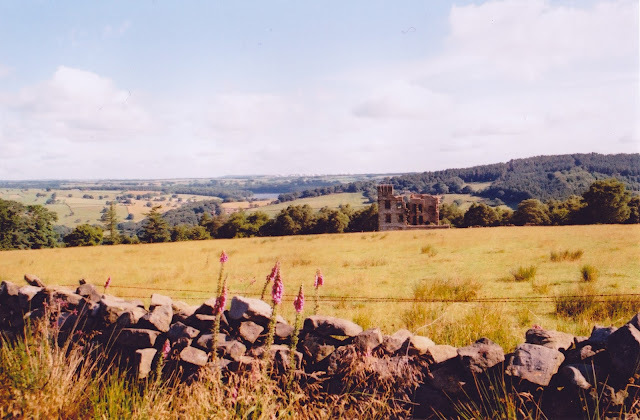 The hand-treated and rust-degraded film contained on the DVD incorporates materials gathered in the field, such as ashes from the fireplace at Dob Park Lodge (above) and scorched waterweed from Troller’s Gill. The project book is notable in its own right—a detailed, original study tracing the history of each black dog story from its earliest textual source to the present day. The book also includes a map and full-colour photographs from the project’s many expeditions. An embossed, hand-numbered and hand-stamped box holds the contents firm. The box-set is a reliquary of objects, stories and sounds centuries, if not millennia, in the making. These are resonances of the never-was: artworks informed by those long-forgotten who, out lurking in the half-light of a country lane, saw shapes somehow darker than the surrounding night that preyed upon their idle minds. 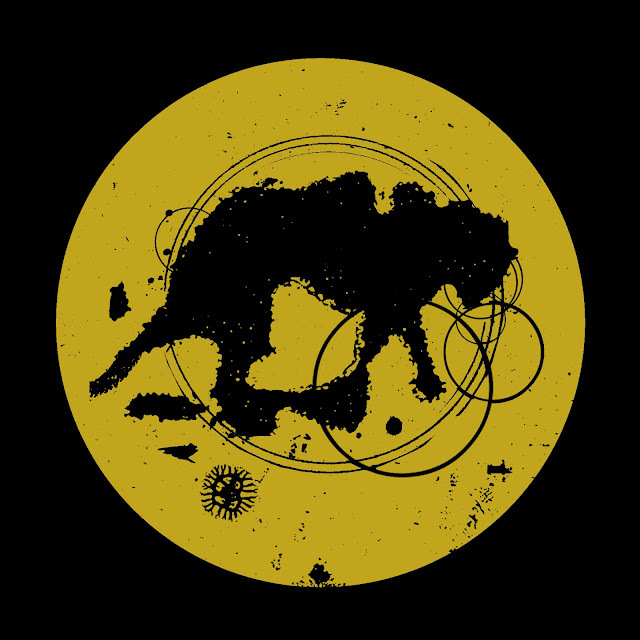 Black Dog Traditions of England - The Barguest of Troller's Gill from Folklore Tapes on Vimeo.